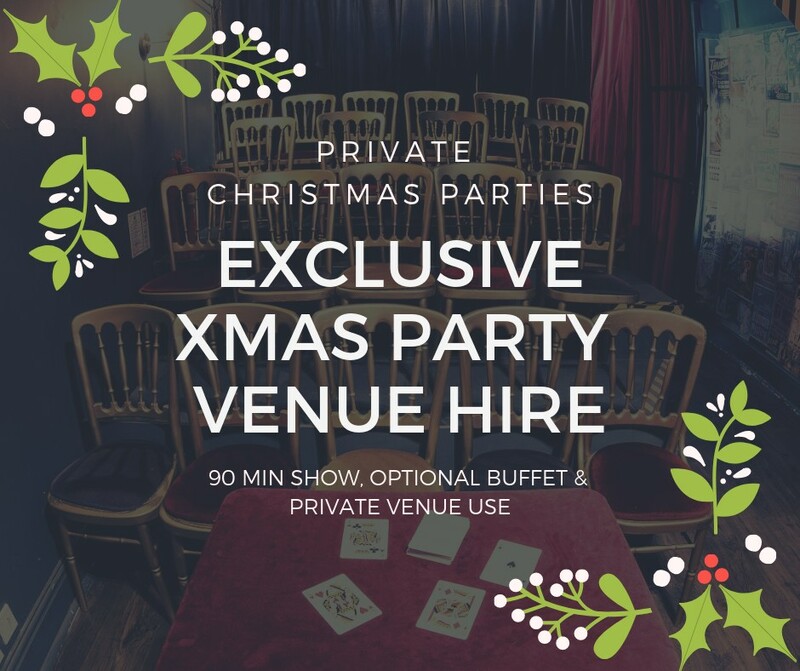 Get into the Festive Christmas spirit at The Small Space's Private Party Christmas Show. A full 90 minute show (2 x 45 minute halves) with an interval in-between. Doors open at 1pm for pre-drinks from the upstairs bar, with the show starting at 1.30pm. There is an optiona artisan buffet included, just contact venue for details.